Exhibition space and facilities that welcomed artists even before being dedicated to art. La Casa degli Artisti in the heart of the medieval village of Canale is surrounded by stunning landscape. A space dedicated to artists even before being it was dedicated to art. Exhibition space, reception and workshops all in a unique and charming environment. La Casa degli Artisti is not only an educational place but also a meeting place for those who want to get closer to art in all its different styles. Cultural activity: exhibitions, conferences, summer courses, facilities for artists and holiday courses with Academies and Art Institutes. The splendour of the medieval towns on the slopes overlooking Lake Garda, that preserve the traditions and tastes of rural life. The enchanting colours and magic of Lake Tenno. 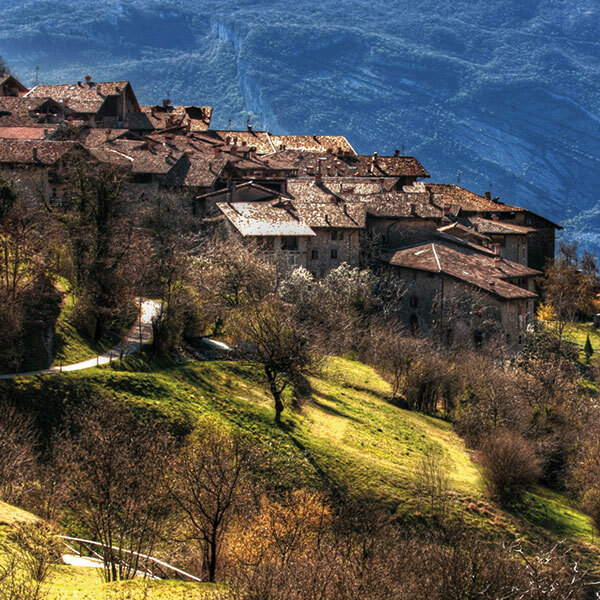 The most beautiful villages in Italy. Among vineyards and olive trees on Lake Garda. A genuine treasure in Tenno. A unique place in the world.